Fiji is an Island country located in the north-east of New Zealand. Comprising of 330 islands, Fiji is amongst the top tourist destinations of the world. The country is subject to visits of couples and families from all over the globe. Located in the distant continent of Oceania, the country is home to a wide range of tourist attractions including clear water beaches, Marine parks, and beautiful harbors. The most popular tourist attractions in the country are Nadi, Denarau Islands, and Mamanuca Islands. The country is largely visited by the people of United Kingdom. 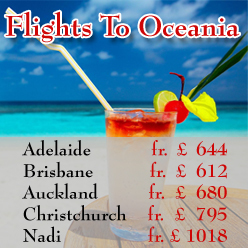 We at TravelWideFlights are providing our clients from the United Kingdom with cheap flight deals to Fiji in the continent of Oceania. 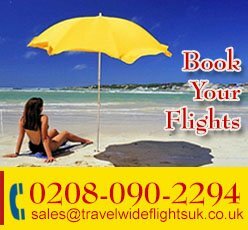 The prime tourist destinations of the country are mainly the sandy white beaches and the dazzling islands dispersed along the oceans. The stay at Fiji is quite economical and the country is considered as a mid-range priced holiday destination. The resorts and hotels in the country are luxurious, and filled with world class resources and facilities. The remote areas of the country have witnessed the opening of some more economical and budgeted resorts making Fiji more and more economical and preferable tourist destination. Other tourism destinations in the country include The Botanical Gardens of Thursten in Suva, Colo-I-Suva Forest Park, and Sigatoka Sand Dunes. The most popular Activity in the islands of the country is the thrilling Scuba Diving provided by different local tourism organizations. Moreover, the resorts of the country are some of the most luxurious ones in the entire world. The Laucala Island Resort was named amongst the top 15 world's most beautiful island resorts by CNN. TravelWideFlight suggests its clients to visit the beautiful islands of Fiji. 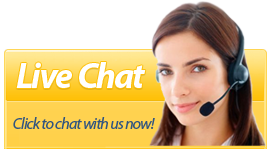 Our team is also specialized in providing assistance on the travel plans of our customers. We can also provide bookings and reservations in the most luxurious resorts and hotels of the country. Clients looking for cheaper options for accommodation can also contact us as we have a diverse network of relations with the economical hotels in Fiji.The Airlines traveling to Fiji are British Airways, Singapore Airlines, Etihad Airways, and Emirates Airlines.Contact our team for further queries.